So you all probably know that I had the pleasure of spending the weekend with the Jesse’s Girl Cosmetics during my very first meet and greet earlier this month, and a side effect of that was being able to try a lot of their newer releases while we planned the event. When they sent me a ton of stuff to try out a couple months ago, I started using their Back Stage Collection eyeshadow palettes and have genuinely been using them at least three times a week since. I couldn’t believe how far the brand has come since I picked up my first products of theirs back in high school! These palettes are freaking awesome and… get this… only $7!?!? There are currently two palettes in the Back Stage Collection: Sounds of the City and Natural Nudes. 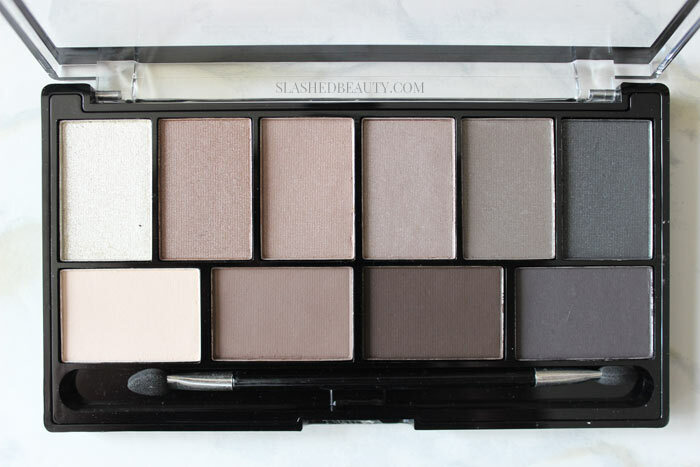 They each have ten shades with a mix of satin and mattes— everything you need for a full look! 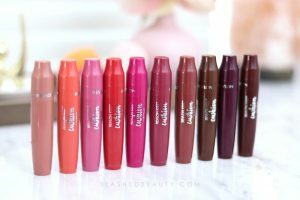 Besides the range of finishes, I think the brand did a really great job including a good spectrum of colors so that you can get several eye looks from the one product without needing to dip into any other shadows. The Sounds of the City palette is your typical neutral palette with a strong cool undertone. I love using these shades to bring out my brown eyes with both natural and smoky looks that I’ve been wearing. We’ve got six satin shades and four mattes, all with medium pigmentation that is buildable, making it goof-proof for beginners afraid to overdo it. 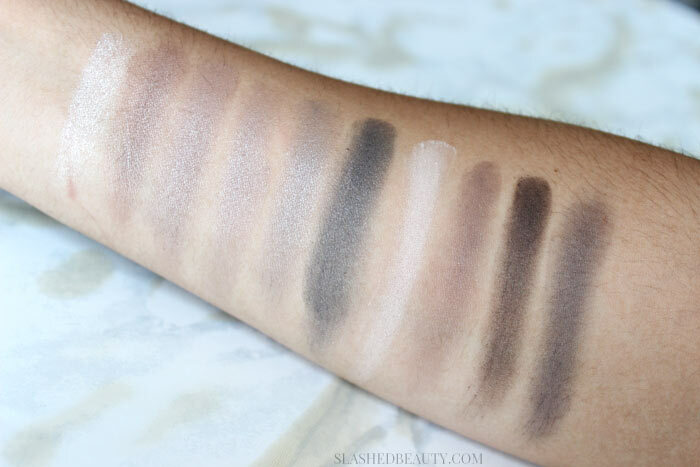 The texture of the shadows are so pleasant (especially for the drugstore) with a very silky feel across finishes. The Natural Nudes palette definitely leans more warm and pinky-toned with some beautiful rose gold and mauve-y shades. I found this one to be more pigmented than Sounds of the City, with pretty opaque color in one swipe. You can see how glowy the satin shades are when they catch the light— just gorgeous for a bright angelic eye. Even the mattes are pretty pigmented (look at that eggshell white! 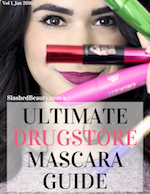 ), which is hard to find on the drugstore level. I’ve been using this one the most, both because of the color payoff and the fact that the shadows are just a tad softer, making it easier to pick up product and blend it out on the skin. What’s the most rewarding is the color payoff: with my $3 L.A. Colors Eyeshadow Primer, these shadows last all day on me— I wore a look out of the Natural Nudes palette for the meet and greet in 90+ degree weather, and even went to Disneyland afterwards, and my shadow was hanging in there when I got home that night! These far exceed many full-sized eyeshadow palettes that have been popping up in the drugstore recently with a well thought out shade selection and the quality of shadows much more expensive. 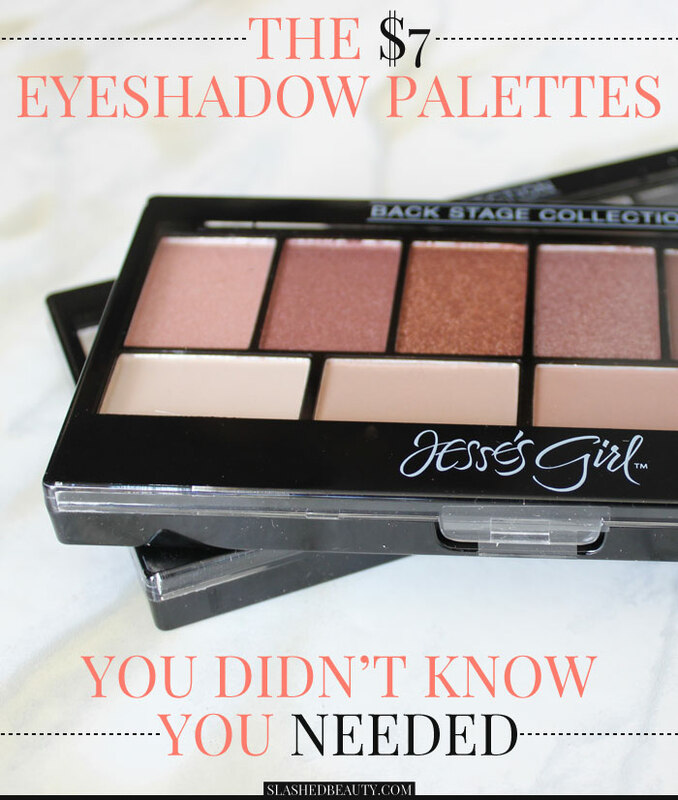 Right now, you can find these palettes at your local Rite Aid or online on the Jesse’s Girl website. 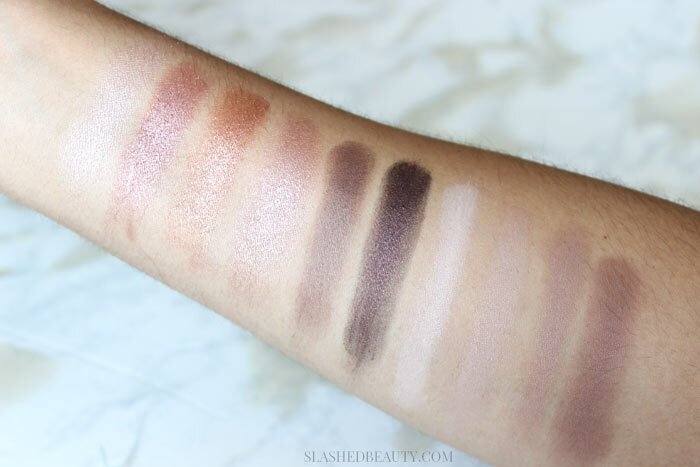 What’s your favorite drugstore eyeshadow palette? Next articleFashionistas Young and Old Will Love Absolutely Fabulous, Darling! I’ve been on the look out for the WnW palettes… they’re on my “to try” list. I would totally suggest you check these out though, they’re great! The Natural Nudes is pretty. It reminds me of the Naked 3. I haven’t tried much from Jesse’s Girl. 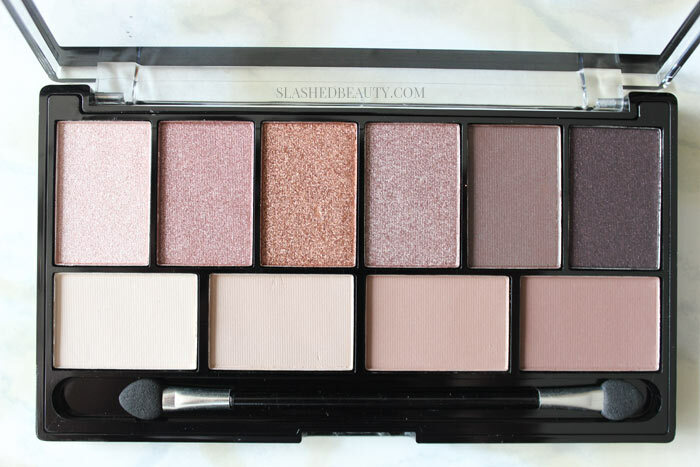 My favorite drugstore palettes are Wet n Wild Comfort Zone, Sonia Kashuk Eye Couture – Eye on Neutral Shimmer 3, and e.l.f. Mad for Matte. Comfort Zone is a classic! !